It was my pleasure to visit the Treasure Island Kite Festival and Sport Kite Competition again this year. 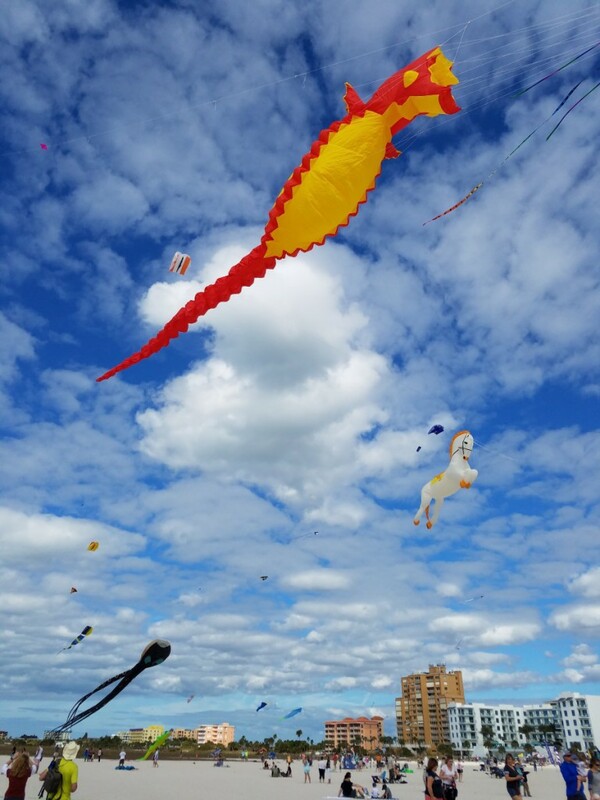 Of all the many, many festivals we have in the Tampa Bay area, this kite festival is one of the most interesting, and certainly the most colorful. Perhaps the reason is it so captivating is how much is going on at once, or perhaps that everywhere you look, you see dazzling colors. Loads of people turn out for the event, adding an additional dynamic to the weekend-long affair. The Treasure Island Kite Festival and Sport Kite Competition gains its name from fairly obvious reasons. The festival atmosphere is provided by the hundreds of kites in the air, many of them gigantic in size. With our luck, and we usually have it, the sky is a bright blue background to the event. This January 2017 was no exception. While the skies weren’t completely clear, plenty of blue sky made it past the thin layer of clouds. 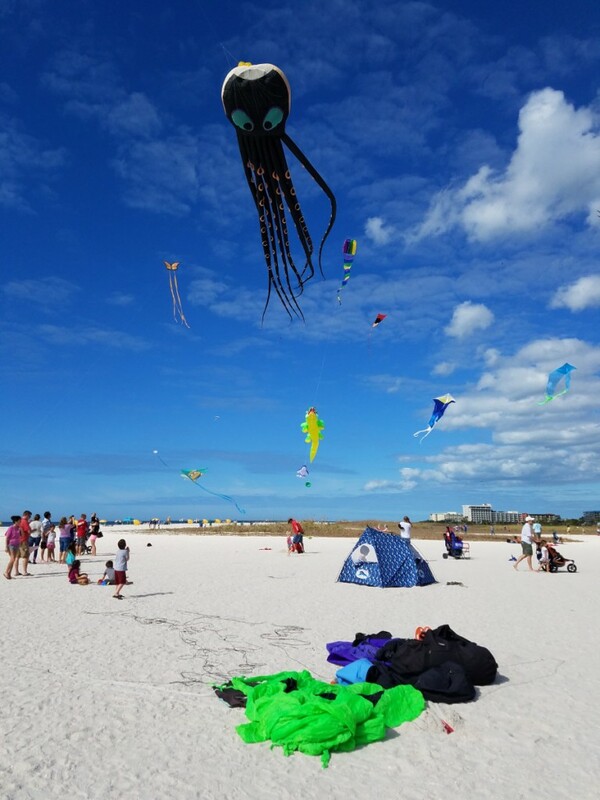 Professional kite fliers, yes that’s a thing, arrive with their specialty kites and present them for the citizens and visitors in the Tampa Bay area. Even those who didn’t plan to attend can often arrive at the event, with a sky full of over-sized kites acting as the perfect advertisement. The Sport Kite Competition comes in a series of events held across the two-day weekend. Sport kites are designed to be highly maneuverable. Because of their ability to make quick turns and changes of direction, creating a sport based on the skill of flying them seems only natural. The sport kite competition includes showing off your skills, following a strict flight plan, or flying in teams where the kites must synchronize their movements. In addition to the swift movements, the sport kites tend to rattle intensely in the wind, creating a buzzing sound while they fly. It’s a lot of fun to observe. My favorite is the team flying competition. The festival is boosted by a kite sales tent from which you can get your own kite-flying hobby started. While they sell the sport kites sometimes for hundreds of dollars, they also have plenty of cheaper varieties. A walk across the beach proves that point clearly enough, with plenty of young children smiling while they fly their own pint-sized kites. 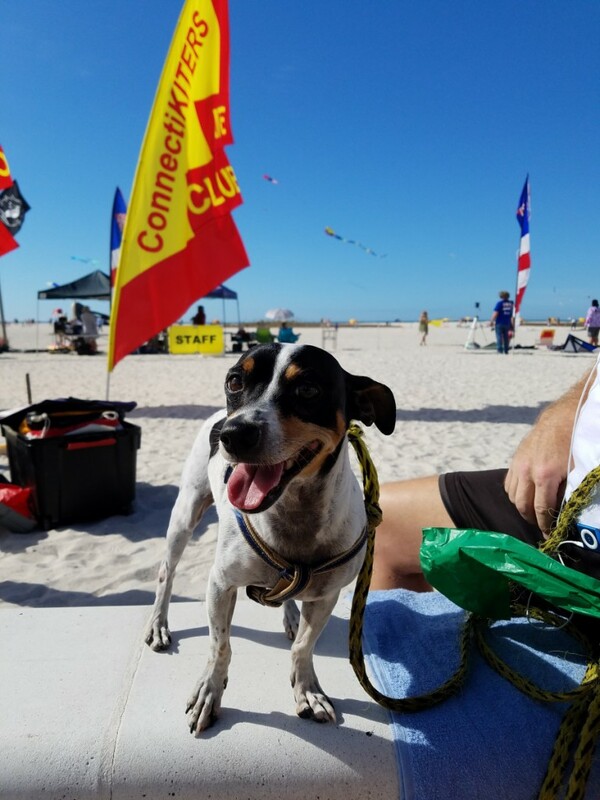 After the professionals show off their talents at sport kite flying, they often offer classes to show you how they do it. Treasure Island Beach is a beach town built on a barrier island. The community is accustomed to tourism and to frequent festivals. In keeping, the streets are lined with loads of dining options. Most are fun beach style pubs and diners. With the popular kite festival in swing, the streets were filled with people and the local watering holes were buzzing. When all the elements of the kite festival were taken in altogether, it made for a great festival outing.